FAQ: How do I know for sure that I am highly sensitive or that my child is highly sensitive? No paper and pencil test should be treated as the final word on an innate temperament trait (this one), a personality trait, or a disorder. We developed the test for use in research studies of what we call in that setting “sensory processing sensitivity” (having nothing to do with Sensory Processing Disorder). Many studies have used this measure, often published in top “peer-reviewed journals,” although some researchers will call it something a little different, such as “biological sensitivity to context.” So one thing you can be sure of is that this trait is real and exists. The point is, the tests on this website are most useful in a research study, where a few people miscategorized can occur without harm. For you, reading more about sensitivity will best allow you to decide for yourself or about your child. For example, to have a sense of the four facets of high sensitivity, which almost every HSP will have, whatever their background, read more about D.O.E.S (Depth of processing, easily Overstimulated, Emotional responsiveness/empathy and sensitive to Subtle stimuli) by clicking here or scrolling to the end of this article. Of course sensitivity can and often does occur along with a disorder or serious problem. I have written extensively about these subjects in Psychotherapy and the Highly Sensitive Person, throughout the book and then about specific disorders in the Appendix, but the book was mainly written for professionals. So I will try to put some of that information into simpler terms in some of these FAQs. 3. Mistaking that it must be either HS or must be something different, when HS actually occurs along with a significant problem. Especially if you are uncertain about what is going on, high sensitivity is quite possibly there along with a real problem or disorder because sensitivity leads to “differential susceptibility.” (See more info here and read the research in PDF format here, and here.) That is, in a good environment, which is not too stressful, individuals with the trait actually thrive better than the other 80% But when things are stressful for HSPs or HSCs, they are more likely to be anxious, depressed, or shy, in particular. We know that as many males as females are born HS, although they obviously will be different in many ways because of their gender and how their family and culture has viewed their sensitivity. However, in the case of adults, men score lower on the self-test. Even though every question was tested and used only if men and women answered “true” about equally, men still score lower on the entire test, as if they begin to sense they are uncovering their sensitivity and that makes them nervous. So men and the parents of boys need to think about this as they decide whether they or their child is highly sensitive. Also, 70% of HSPs are introverts, so that sometimes the two are equated, when obviously if 70% are introverts, then 30% are extraverts—that is, enjoying being in groups, meeting strangers, and having a large circle of friends. If this is you or your child, this type of HSP is simply a different flavor—more outgoing, but needing plenty of down time too, unlike extraverts who are not also HS. Finally, you or your child might be a high sensation seeker. This may seem impossible, because high sensitivity and high sensation sound like opposites. Actually, that is not the case. The opposite of being highly sensitive is actually being very impulsive, as that is the opposite of processing deeply and pausing before acting. (Although, sometimes HSPs are quick to act because they already know from past experience what’s going to happen.) Sensitivity and sensation seeking appear to be governed by two different systems in the brain, and how strong they are seems to be genetic. So you could be born with both being strong, which has its own advantages and disadvantages. (One person said, “It’s like living with one foot on the gas and the other foot on the brakes.”) Children with both traits may seem to take big risks, but they have usually thought the activity through first and are (often secretly) being careful. If you are still not sure if your child is highly sensitive or has a problem or both, see below. You can go to an expert for a particular problem or disorder you think you might have. But it may be wiser not to go to a specialist first. Instead, find someone very, very experienced, who can assess for a wide variety of causes of the behavior that concerns you. The problem is that a temperament or personality expert may only see a normal variation, a depression expert tends to see depression, an anxiety expert tends to diagnosis anxiety, an autism expert knows autism best, a sensory processing disorder therapist sees that, and those who treat environmental issues may see the problem as arising due to problems at home or at work or in your childhood. If you cannot find a wise “generalist” and do go to a specialist, you may even want your next opinion from an expert in the second most likely issue and see if this person insists it is the problem he or she studies or agrees with the first expert’s reasoning. If you are reading this as the parent of a highly sensitive child (HSC) and concerned that he or she might have a serious problem, you should especially certainly seek a professional opinion beyond this website. Do persist until you are sure you have it right, because, as I said before, it is usually true that the earlier a problem is treated, the more successful the outcome. The best place to begin might be someone who knows your child well and understands why you thought high sensitivity might be involved or is open to your explaining it (How can I describe being highly sensitive to other people?, Discussing Your Trait with Therapists, What To Say To The Professionals and For Highly Sensitive Teenagers: Dealing with the Rest of Your Family) and investigating the science behind it. If the professional who knows your child agrees with you that there might be a problem, but you are still unsure, you can seek a second opinion. Now you could go to an expert in a particular disorder, but it may be wiser to find someone very, very experienced with children, who can assess for a wide variety of causes of the behavior that concerns you. He or she should want to observe or at least learn about your child in a variety of situations—school, home—not just the office, and talk to your child’s teachers as well as you. The value of a person with a general background with children is that you will not have the problem that a temperament expert may only see a normal temperament variation, a depression expert may tend to see depression, an anxiety expert may tend to diagnosis anxiety, an autism expert knows autism best, a sensory processing disorder therapist sees only that, and those who treat environmental issues may see the problem as arising due to problems at home or at school. It’s difficult for anyone to know all of these disorders really well, so if you do decide to go to a specialist right away, you may at least want your next opinion from someone who is an expert in the next most likely problem, and see if this person insists it is the problem he or she studies or agrees with the first expert’s reasoning! It seems to me that there are a lot of negative items in the test for adults. I don’t think they describe me, but the others do. You are right. Very sensitive of you. There really are too many negative items in the adults self-test. You can give them less weight if they seem too many for you. It was written over 20 years ago, when so much of what I knew was that we were bothered by overstimulation and sensitive to subtleties, but the emotional part and especially the depth of processing had not been well articulated. The scale still works fine for research, as it is less of a problem if a few people are miscategorized. Further, for research, we now “control” for negative affect. You can do the same. All HSPs have some negative affect when being overstimulated, but some people will say “true” to mostly the negative items because they are not HSPs, but loaded down by other problems that could cause them to be, for example, “unpleasantly aroused when a lot is going on around me.” This could be you If you said yes almost exclusively to the negative items (with words like “made uncomfortable,” “easily bothered,” “feel frazzled,” “rattled,” “annoyed,” etc.) 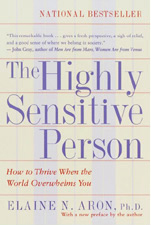 but in other ways do not seem highly sensitive. 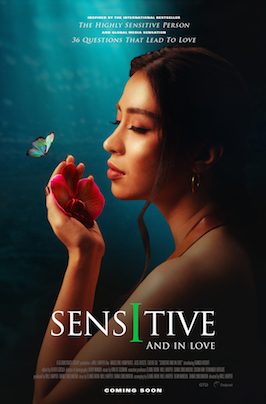 To have a sense of the four facets of high sensitivity which almost every HSP will have, whatever their background, read more about D.O.E.S (Depth of processing, easily Overstimulated, Emotional responsiveness/empathy and sensitive to Subtle stimuli.